VANKLEEK HILL, ON – As one of a series of celebrity collaboration beers being created by breweries across Ontario for the upcoming Ontario Craft Beer Week, Beau’s All Natural Brewing has announced details of a beer developed together with comedian Tom Green. The Tom Green Beer will be debuted at a series of stand-up shows that Green will be performing on June 13th to 15th at Yuk Yuks Ottawa. The beer will be available at the bar on all three evenings, and Green along with Beau’s co-founder Steve Beauchesne and brewmaster Matthew O’Hara will host a tasting event after the show on the 13th. 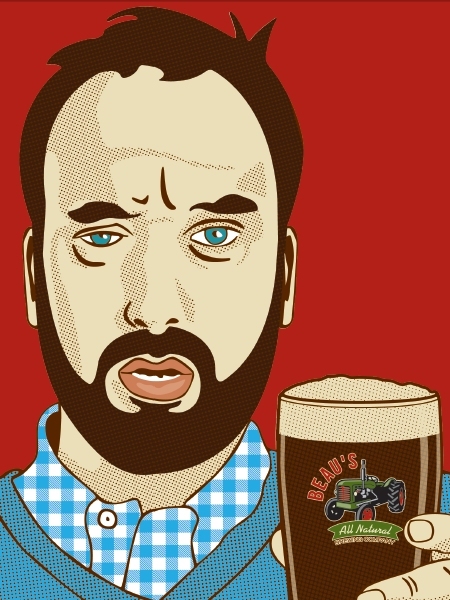 The Tom Green Beer will also be available at select events and locations during OCB Week, including at the Collaboration Nation section of the Session Toronto beer festival on June 22nd.